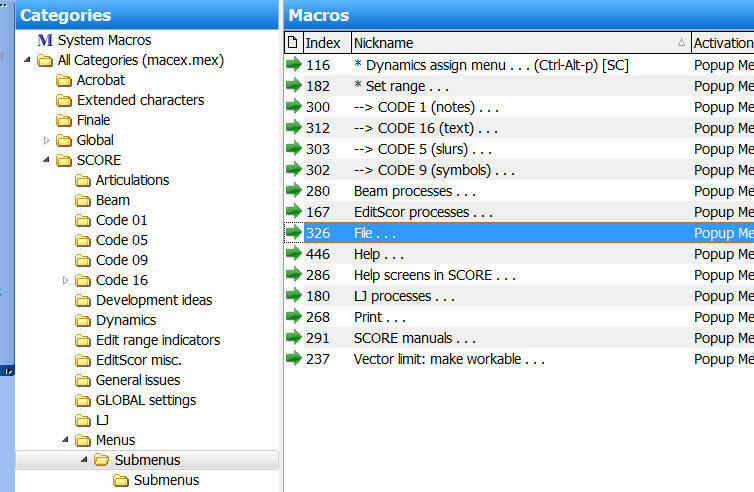 I would happily share that “menu” file, except that it wouldn’t look like this on your system, as it makes references to macros you wouldn’t have. Therefore, you should custom-tailor your own Master menu to suit your needs. The “X” and “Y” coordinates defined on the Miscellaneous tab will likely yield a different relative positioning on your screen. Adjust the coordinates to suit your needs. 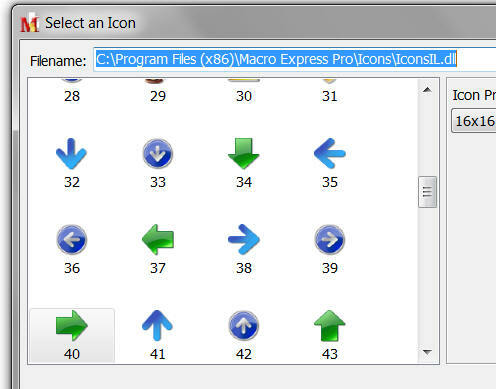 Single step commands I signal with thin blue arrows (item 38 in the preceding image). 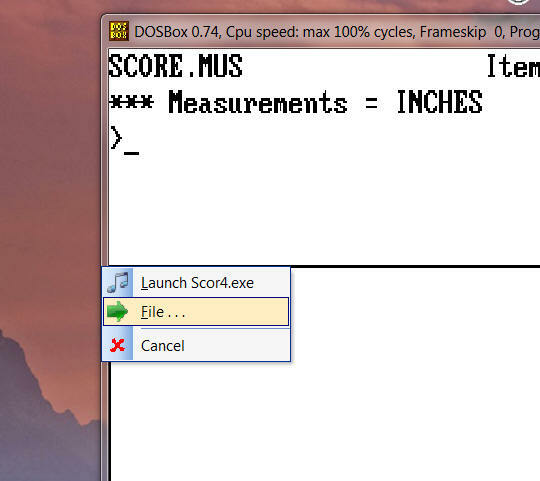 Construct and revise these menus to suit your needs. 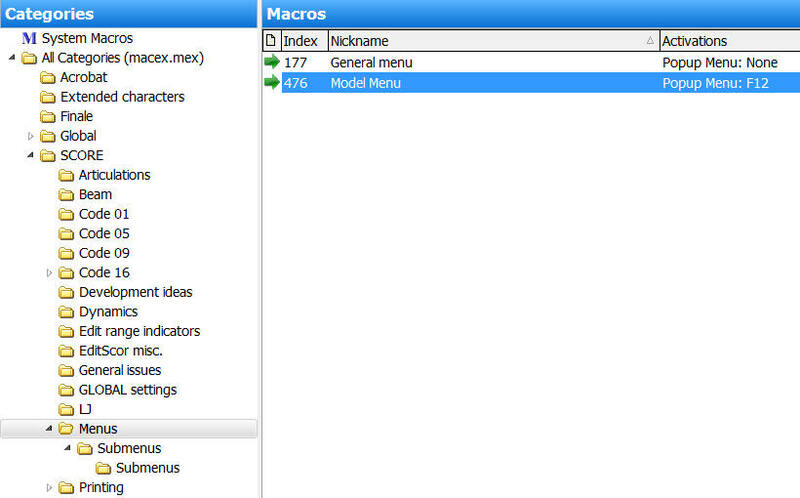 You may wish to place some macros in your menu structure that can be activated only by being selected from the menu. 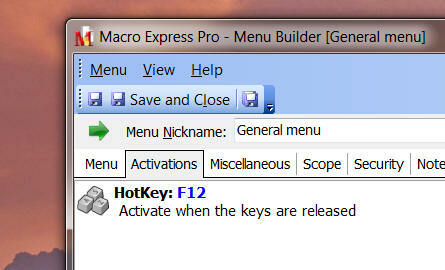 For other macros, you may wish to define a hotkey, and also make them available through the directory structure. 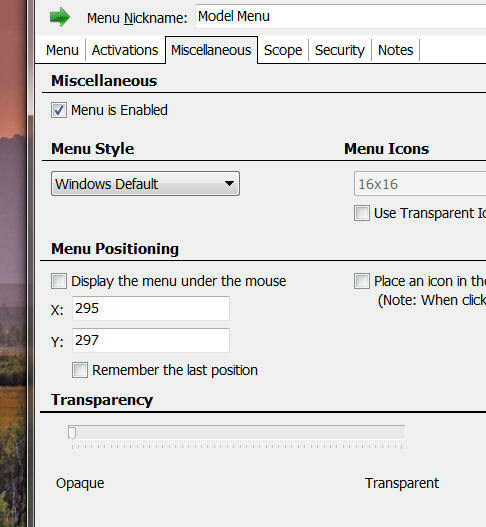 I recommend making the hotkey (if any) part of the file nomenclature, so that it can be displayed in the menu field (as in the “Window…” item in the first image on this page).